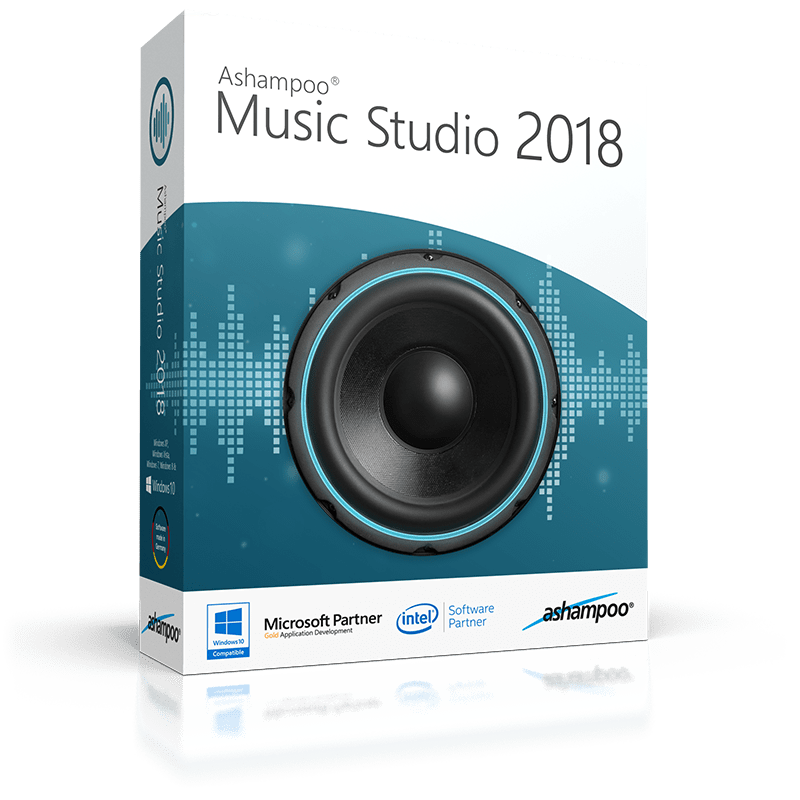 Ashampoo Music Studio 2018 is a versatile and powerful application, decide to help manage music collection. With this application, one can easily rip, edit, convert, record, repair, and even burn music to discs. It comes packed with a collection of powerful tools and features which are easy-to-use. The installer size is ~45MB and the installation process is simple and takes no time at all. After the installation process you can activate the application by the built-in activation method. Once activated, you can start using the application and put it tools and features to use. The user interface has a modern design and provides a clean and intuitive look. Right on the main menu, the application presents you with all the available options and features. There are 9 buttons on the menu, namely ‘Edit Cover’, ‘Rip & Burn’, ‘Organize’, ‘Modify’, ‘Video-2-Music’, ‘Record’, ‘Playlist Generator’, and ‘Mix Tape’. You can select the tool that you want to use, and the wizard guides you through the steps for most of the features. This application comes with the ability to rip and burn audio CDs, record, edit covers and also create a mix tape. You can also convert audio files from on format to the other. You can convert files to MP3, WMA, OGG, FLAC or WAV. While converting, you can select the quality, sample rate, bitrate, and also change from mono to stereo or vice versa. You edit file tags, record and mix audio items, as well as insert silence and crossfading. There is an option to split audio files too. Moreover, the tool comes with an option of volume normalization for audio files. The built-in music organizer, let’s you manage your collection and organize it by any order you prefer. You can even create playlists with your favourite audio files. 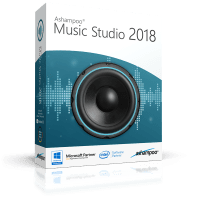 Ashampoo Music Studio 2018 is an easy-to-use and simple, yet powerful audio collection managing and processing tool. The tool comes with many important features and tools that are required by people with a large audio collection. All the tools and features work smoothly, and the application does not lag or hang at all. Malik, glad to see an updated review. But one thing that jumped out at me is that you don’t mention the ability to edit songs—in other words, cut out parts, etc. You could do that with the old versions, though I found it unwieldy compared to the Asus app I ended up using more. Is that no longer possible, and if it is, how does it work in your opinion? Do you mean .flac files? I’ve had a very hard time with recovery progs, and other utils, using .flac only as my audio format. Tanx for the heads up. Tho I have used the term frac to avoid expletives when software does not work! Ashampoo is a reputable software manufacturer. Everything, especially their burning studio is especially impressive. I was expecting the same when I downloaded and installed Ashampoo Music Studio. Well, it was up to standards. Here is what I think of it. Ashampoo music studio features an impressive user interphase that is synonymous with the modern metro UI. Everything is well laid out and spaced. Its DVD/CD rip tool, music organizer and tag creator comes in handy when organizing a vast music collection from different storage media. Other than just taking care of your music, Ashampoo Music studio gives you what you need to create a professional music library consisting of what you actually want to hear. This rises from its power to edit music covers, modify files, create mix tapes and an intuitive playlist generator. If all you deal in is audio, you will find Music Studio’s rip and burn tabs quite useful. Of cause you can organize your music, modify it and edit the cover before burning it. This is perfect for creating those branded music discs for distribution. Normally, renaming a file just changes the file name, not location. Ashampoo Music Studio’s organizer could change the location of your files with a simple rename command. I lost an entire album before realizing this. Ashampoo packed a neat audio recorder that will come in handy when doing karaoke at a party. This recorder will however not record your system audio. I find this a bit crippling – especially that I find the need to record system audio every now and then. Ashampoo media studio is optimized for audio. It won’t take in high definition videos well. It hanged when I loaded HD video and occasionally clipped the quality. Ashampoo Music Studio is an excellent media manager for anyone in charge of a vast media library. It will help you create a perfectly organized music server – if you are patient enough to take it through the initial organization steps. Cons-Can’t record system audio in Win 10. Finally found an honest review that tells the truth. I even emailed their support group and got the run-around. Win 7 worked great ! Not any longer. This all happened due to Win 10. This was offered Sept 2017 with a version of 7.0.1.2 – what is the current version?